Here you'll find all the files, resources and videos to accompany issue 232 of 3D World magazine. To download the accompanying files for 3D World issue 232, simply click the link below each article and a zip file will automatically download the content to your Mac or PC. 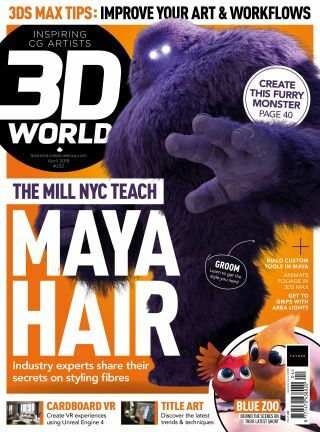 If you've missed this issue or other editions of 3D World, order a copy. Matthias Develtere gives us a step-by-step guide to easy and efficient high-poly modelling, revealing his techniques for creating this detaild armoured robot. Kevin Ives describes how he developed this hairy creature for Momnster.com, and Todd Akita takes us through his fur simulation workflow. A guide to using visual effects as an effective tool in commercials. In this tutorial you will learn to combine tools from Lightwave, Photoshop, Turbulence and Fusion to create your comp. Oscar Juarez demonstrates how to create a VR experience projects using 3dsMax and V-Ray.